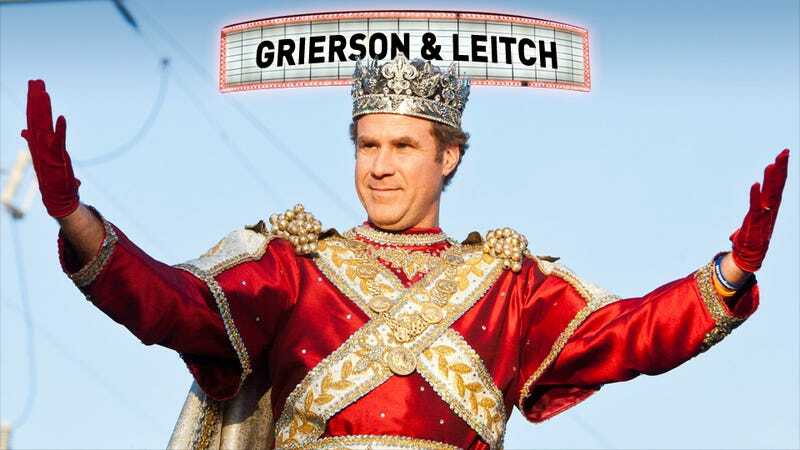 Will Ferrell has a movie coming out this Friday, and there's a chance you aren't even aware of it. That's probably fine with him—although that doesn't mean he's not really proud of this film. Only being released on approximately 350 screens, Casa de Mi Padre is a tongue-in-cheek homage to telenovelas that finds the 44-year-old star playing a Mexican rancher, speaking Spanish, and acting as if it's completely natural for there to be one dopey white guy amidst all these Hispanic actors. It's not unusual for comic A-listers to switch gears by doing a small, serious movie—Ferrell did the same thing years ago with Stranger Than Fiction—but Casa de Mi Padre is different: It's a willfully odd comedy that's happy to be obscure rather than commercially viable. For Ferrell, Casa de Mi Padre is just the most visible example of his long-running love for WTF weirdness. In the last decade or so, Ferrell's been busy establishing a film career, but while his hit movies tend to be "conventional" enough for mainstream audiences to embrace, the guy does enjoy peppering them with this streak of impish weirdness. For example, in The Other Guys, the wife he's always badmouthing as a nagging, unattractive battle axe turns out to be the sweet, gorgeous Eva Mendes. In Anchorman, he and his team bust out a spontaneous a cappella version of "Afternoon Delight" just 'cuz. Ferrell creates these universes that seem pretty normal except for that one thing that's out of place—and that one thing is never explained or rationalized, which consequently makes everything around it suddenly seem really surreal. "I don't remember when I got the idea and there was really no good reason, but I always had the notion of doing a Spanish language comedy. I do not speak Spanish but I thought the concept of having someone who is - depending on who you talk to - either fairly well known or kind of well-known in American language film - placed in a foreign language film would be something you don't see every day." It's fun to see someone of Ferrell's stature willing to embrace oddness on this sort of scale, although he does run the risk of making a movie that only he and his buddies will enjoy. But that probably won't bother Ferrell too much: Like Jack White working on a side project or Steve Martin deciding to do a bluegrass album, Casa de Mi Padre is an excursion that's not meant to be taken that seriously. If you don't dig WTF it's about, Ferrell will just move on to the next thing. Maybe you'll like that one better.